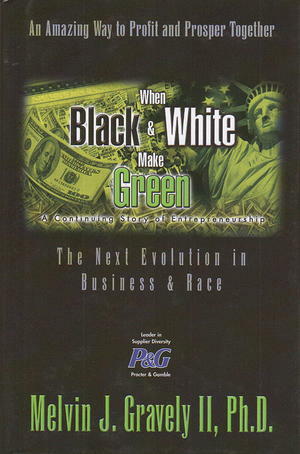 This compelling business parable is an entertaining and enlightening story about the next evolution in business and race. The content is full of new strategies and breakthrough thinking sure to help business leaders recognize the promise of supplier diversity and economic inclusion. The concepts and ideas in When Black and White Make Green are driven by actual research led by Dr. Gravely. This is a must read for anyone who wants to stay on top of the competitive imperatives of our increasingly diverse world.